DOES RAP INSTRUMENTAL MUSIC HELP ONE STUDY BETTER? A lot of people on this blog have been talking about whether music helps one study better. I used to listen to a lot of rap while doing homework during freshman year. The problem was, I ended up rapping to the lyrics, and never really knew what I was reading. To reaffirm my experience, Nick Perham, in a cognitive psychology blog, also talked about how it’s hard to really memorize what you are reading because the other notes and word in the song might confuse you. Cognitive Psychology Blog Could it Help? So as I was researching I found a lot of article on studying with music. Is it good for you? Is it bad for you? There are so many 3rd variables that go in between and that includes, the volume, rhythm, genre, and even how many words are in the song. There is also something known as the Mozart Effect, which talks about how if you listen to Mozart, you will be smarter. Many of the articles stated that listening to music before performing a task is actually really good because it relaxes you. These articles are all on the topic of whether music helps with studying. Can music help you when you study ? Unfortunately, overall, we don’t really know whether its good or bad. At the end of the day it really depends on you. I summarized all this because I am more concerned with something else. Like I said, I don’t listen to rap songs anymore, but what about rap instrumentals? Yes, they can get loud, and they do have intense beats, but they have no words. No word for me to get distracted too! I also feel like the intense beats get me hype, and more motivated to start working. If its instrumentals that I already know the song of, I will sing the lyrics in my head. So unknown instrumentals are better. There are no articles talking about this, so I thought of an experiment. It would be a blind placebo effect trial. I am going to have 20 students. To keep it all the same, each student will be in a study room, so there are no outside distractions. Then 10 students will be listening to rap instrumentals, just beats. In this case I would make sure they aren’t known songs, otherwise students will probably get distracted because they would be trying to rap along to the song. The other 10 wouldn’t be listening to anything, just silence. During the 30 minutes, they are going to read a passage and take a small 10 question quiz on it. The questions would be about details in the passage, maybe a few on comprehension. The x-variable is the instrumental rap music. We are manipulating it by letting the 10 people listen to it, and not letting the other 10 listen to it. The y-variable is how well they understood the information. Then after I would see their results. 3rd variables in this experiment could probably be whether they even like the beats they were listening to. Another one could be how loud or quiet their music was. Now realizing everything, there could also be other things to look at. Maybe how fast they finished the quiz, and then maybe how fast they finished the quiz plus how well they did on it. There are many factors to look at. What do you guys think? If you do listen to music while studying, have you tried listening to instrumentals? 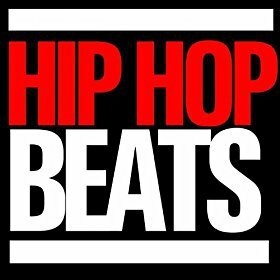 Have you tried listening to rap instrumentals? This entry was posted in Uncategorized on October 19, 2016 by Reetu Shah. This is interesting that you wrote a blog on this topic becuase I am currently writing a blog regarding studying and multitasking. My sister does exactly what you used to do freshman year! She sings and even dances while studying. I have always told her that she is not learning as much that way but she insists that she is. I attended the “Study Smarter, Not Harder” lecture that Andrew informed us about. During the lecture, they made it a point that studying with music is not a great idea. It’s becuase you are always listening for things and taking in information even when you are not conciously doing so. I really reccommend attending one of the sessions they offer. If you get really interested with how humans handle information, look into a course called EDPSY 297 http://bulletins.psu.edu/undergrad/courses/E/EDPSY/297/201011S1. It’s a couse that I hope to take next semester. The study you thought about conducting is interesting. I personally would try to make the sample size much larger to get an accurate conclusion. The good thing is that, according to the professors who gave the “Study Smarter, Not Harder” lecture, listening to instumentals is better than listening to music with words in it. Personally I can’t listen to music at all while studying. Even if I overhear someones headphones playing too loudly I lose all focus. This article brings up some interesting points about notes and lyrics distracting a person, points that i believe are accurate. While I agree that some people might find that music helps them study, I think its impossible to say it causes someone to study better. This is mainly because of the discussion we had earlier in the year about multitasking. Studies such as the one presented in this Forbes article (http://www.forbes.com/sites/travisbradberry/2014/10/08/multitasking-damages-your-brain-and-career-new-studies-suggest/#346e9ed72c16) make it very clear that multitasking is NOT a beneficial talent. They find that multitaskers almost always underperform compared to individuals who focus only on one task. Our brain simply can’t handle all of that information. I agree that your suggested study is a completely reasonable way to determine the effectiveness of listening to instrumentals while studying. However, no evidence will ever convince me it can actually increase someones learning ability. That is simply my opinion, what do you think? I have also found that I cannot listen to music that has words while I study. I find that i want to sing along and then I become distracted. I think the concept behind your experiment is compelling, however I think it needs to be further thought through. It couldn’t be a blind placebo trial because the participants would know who did and didn’t have music to listen to. Also not every person enjoys rap music, so to have 10 students listen to rap instrumentals would mean that some of them wouldn’t focus because they don’t like what they are listening to. I personally listen to classical music when I study. I think that this experiment would be difficult to test without much room for error and that is why no one has done it yet. That being said, I think it can be done and I think you should look further into this. I find this super interesting because I never understood how people get any work done while listening to music. I’m one of those people where in order to get anything done or comprehend anything, I need silence. I have tried listening to instrumentals, but I just can’t work through it. I don’t think you are wrong to believe that there is a correlation between studying with “lyric-less” music and quality of work because there very well might be, nothing is proven. However, I personally believe that this correlation is due to chance and your results would be skewed because the data would be based on a series of personal preferences.